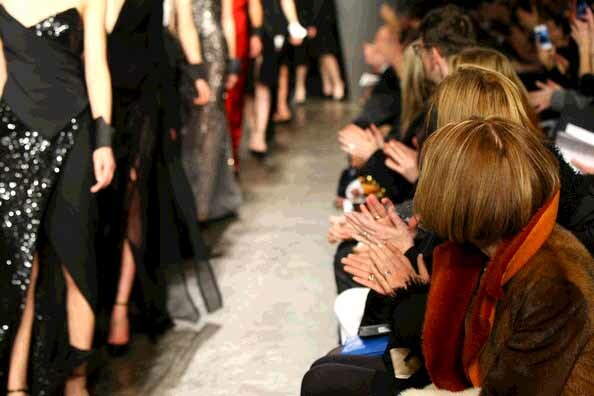 As I was trying to do my research to give you a little report from yesterday’s day at New York Fashion Week, which is not easy to many big names out there (Donna Karan, Carolina Herrra, Phillip Lim, Marc Jacobs, Custo Barcelona and more!!!) 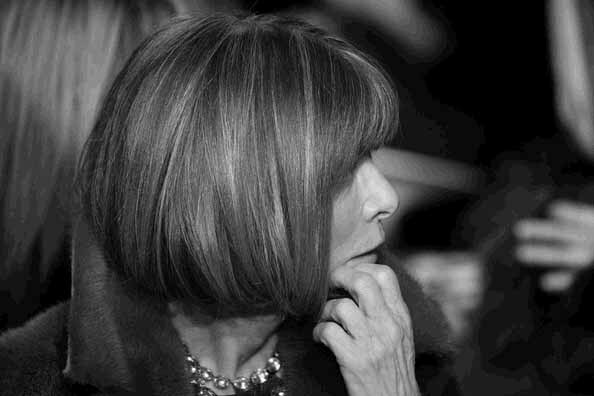 I found these images from Getty Images that caught my eye more, Ana Wintour at work, but really at work not only photographed on a front row, but looking at the collections and talking at the key people designer (Carolina Herrera) and Chairman of Puig the owners of Carolina Herrera (Marc Puig). Who ever took the pictures new how to follow her and capture her in the move, just great and not easy to do, I have not seen many pictures of her in detail backstage checking the collections. I really wonder how she sees them, what makes her like them and what point this visit is political, in the case of Carolina Herrera and Mr. Puig the fact of belonging to PUIG is very important in terms of advertising, the parfum and fashion brands of Puig represent a big budget for Vogue and Conde Nast, so the act of presence is a real must for commercial relations also. In any case political or not here is peek of this Dictator of fashion doing her thing in the Carolina Herrera, Dona Karan and Marc Jacobs shows. 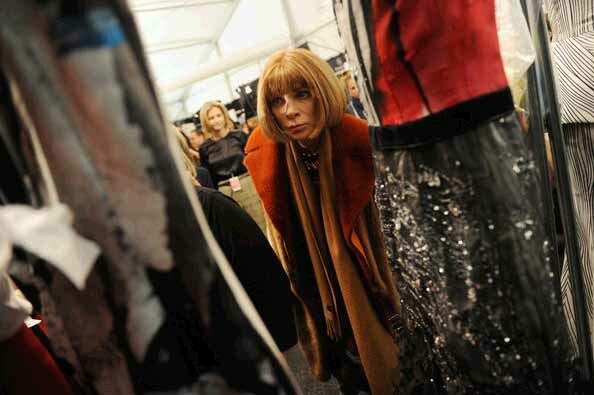 We will see in upcoming issues of Vogue what she really thought of the collection.